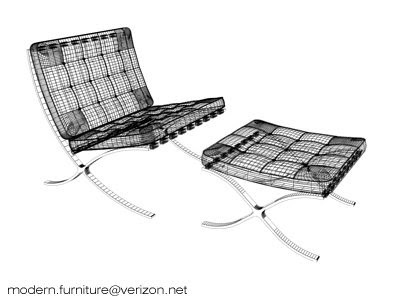 Ironically just as I decided to focus less on home decor Houzz sent along an Ode to the Barcelona Chair. A previous roommate owned one of these babies and it was so beautiful AND comfortable! 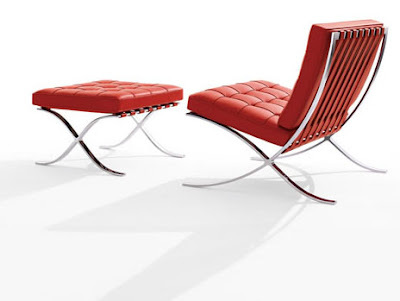 As much as I LOVE this chair I have to admit a red barcelona probably won't fit into every home I live in. So dear universe, please send a black barcelona to keep my bertoias company. KTHXBYE! I hated Hated HATED modern furniture until I spent about 6 months, working my friend Jason, helping him get his online furniture store off of the ground. He runs The Furniture Loft. I had to learn about Bertoia and Mies Van Der Rohe and Nelson and all of those folks. And along the way, I fell in love with them. I did want to say that Jason and others sell Alphaville furniture, which are reproductions of the pieces by the above mentioned designers. And I can tell you, if you aren't an expert in identifying real vs. reproduction, you wouldn't know. And it's 1/5 the cost. I loved their stuff.